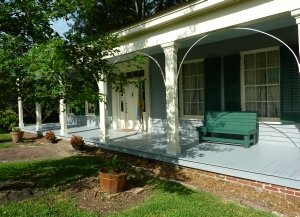 The Boyd House, also known as “The Oaks,” is one of Jackson’s oldest dwellings. This Greek Revival-style cottage was built about 1853 on four acres of land located near the center of Mississippi’s capital city. The house is one of few extant structures that survived the burning of Jackson in the Civil War. The Oaks is a Mississippi Landmark and is listed on the National Register of Historic Places.